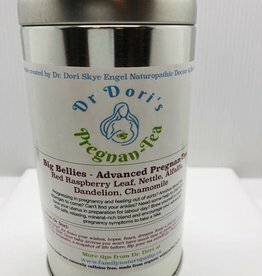 A delicious herbal tea to support you in early pregnancy! 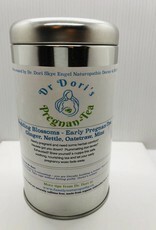 Locally designed and produced from wildcrafted and organic herbs by Naturopathic Doctor Dori Engel. Ginger: This warming root increases energy and aids with dreaded morning sickness and indigestion. 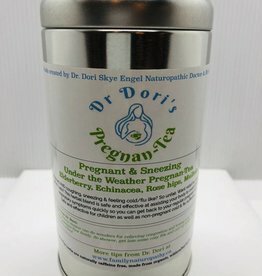 Supports circulation - an important feature as your blood volume will double during pregnancy. Nettle: A nourishing tonic that can prevent anemia with its highly absorbable iron content, in addition to being rich in Vitamins A, C, D, K & high in essential minerals - calcium, potassium, phosphorous & sulphur. Nourishing & strengthening for the kidneys, eases leg cramps & muscle spasms. Improves elasticity of veins to prevent hemorrhoids & varicose veins. Eases high blood pressure. 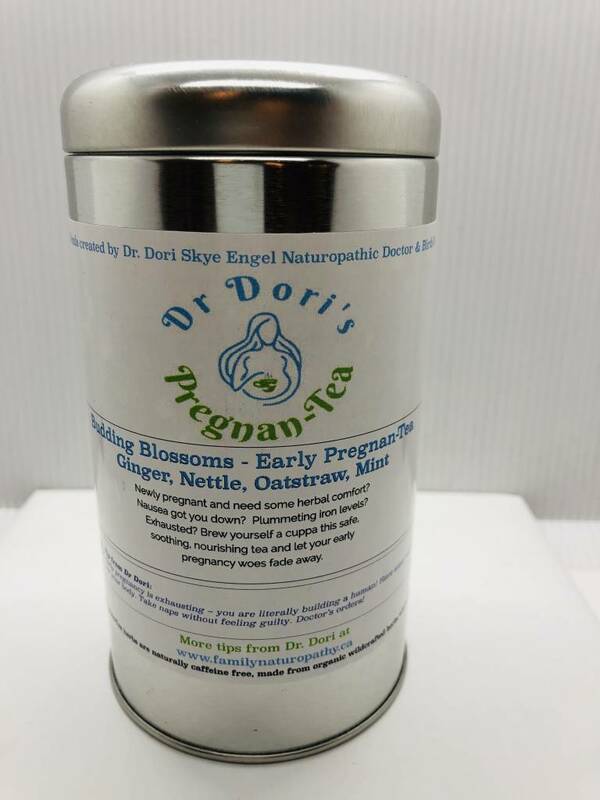 Oatstraw: Nervine tonic - an anti-anxiety herb (who doesn't worry during pregnancy? ), helpful for nervous fatigue & insomnia. Strengthens capillaries to prevent varicose veins & hemorrhoids. Mint: Essential for morning sickness. Gentle digestive aid & anti nausea herb. Effective for any kind of bloating or gas. Stimulating eye-opener for the exhaustion of pregnancy. Lifts spirits and renews energy.